Proper inspection, remediation and disinfection are all phases to properly cleanup a sewage spill to ensure your safety. Sewage Backups sometimes start as gurgling sounds in the plumbing or a constant faint sound of running water and sometimes you begin to smell a foul odor when you run your water or flush the toilet. 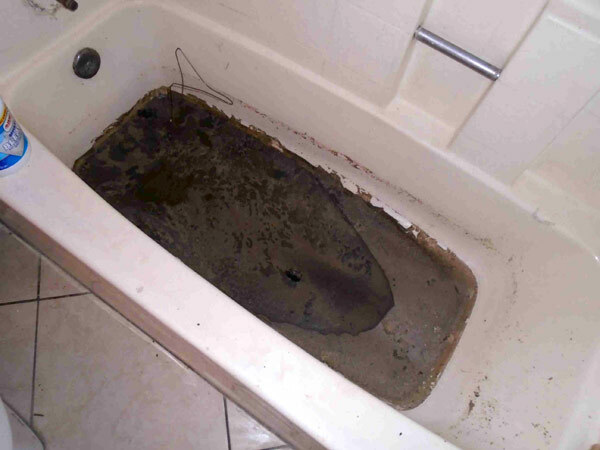 When the raw sewage backs up into the house or floods the bathrooms, it not only smells and ruins your floor and carpet, but it also presents a real health hazard. When a sewer line backs up in a house or a building it is an unwanted collection of a variety of sewer lines from multiple homes and businesses that contains bacteria and possibly disease and virus based contaminates. Using an extractor and household disinfectant are not effective to ensure that the area is free of health hazards. Sewer water can travel under flooring, be absorbed into the walls and seep inside appliances. Sewage water and debris needs to be extricated. This has to be done with special equipment and transported to an approved site. Removing and disposing of any absorbent materials that came in contact with the sewage. That includes carpets and furniture. In some cases, walls are also included in the absorbent materials. All debris must be bagged correctly since it is consider biohazard. Power washers, disinfectants and brushes are used for sewage cleanup. Bio SoCal is the #1 choice for sewage cleanup. Our experienced crews are ready to respond to your emergency 24 hours a day 7 days a week. Cleaning up raw sewage is not only a messy, dirty job, but it can be hazardous to your health during and after cleanup if it’s not done properly. Cleanup of Sewage is better left to the professionals so you don’t put your and your family’s health at risk.